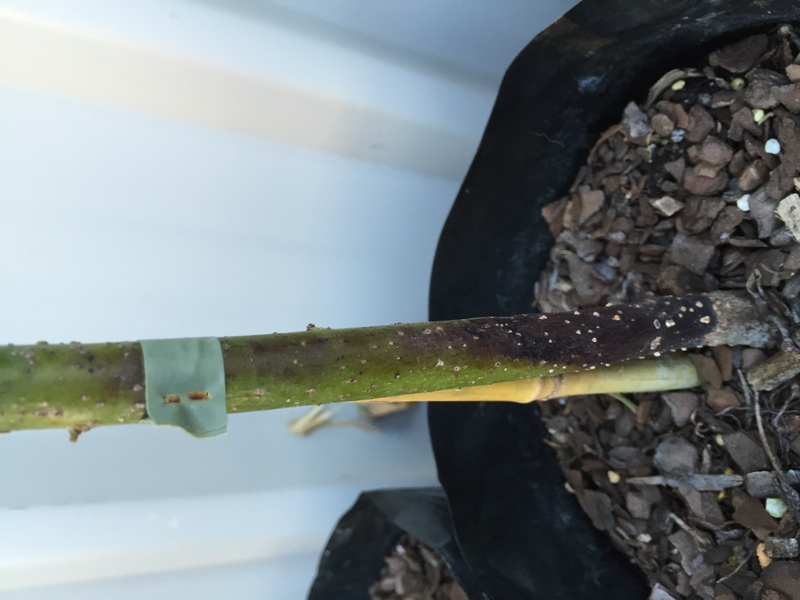 I purchased 12 avocado trees 2 weeks ago (8x Wurtz & 4x Shephard)dwarf/semi dwarf variety, and over the past week almost all have black spots on them! At first I suspected sunburn, so moved them into a more sheltered location, but the black appears on both sides of the trunk/ branches on some. 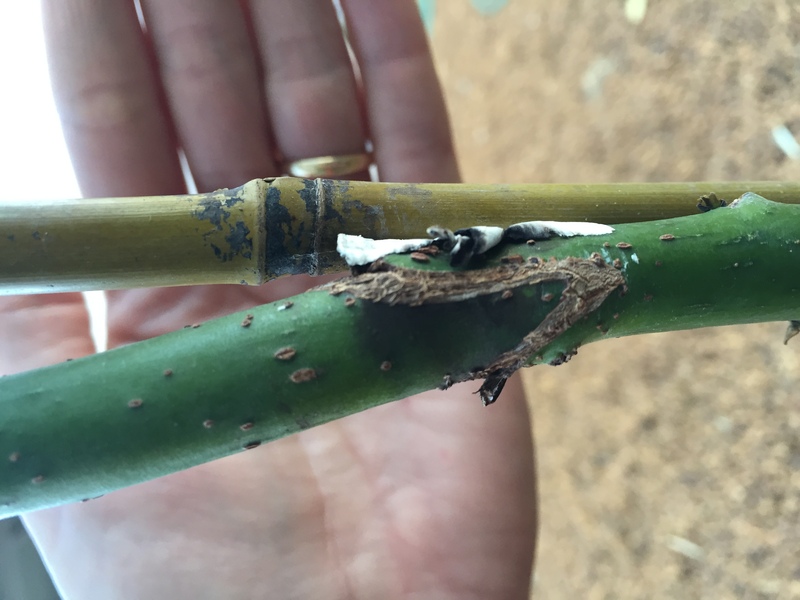 The black spots are mostly found around the base of the trunk, grafting point and some arms. A couple of branches have completely died back, gone black and softened. I suspect disease, but not sure what I should treat with? They are still in the original black bag I bought them in as I'm waiting for weather to cool to plant them in the ground. See attached pictures. Can anyone offer advice? 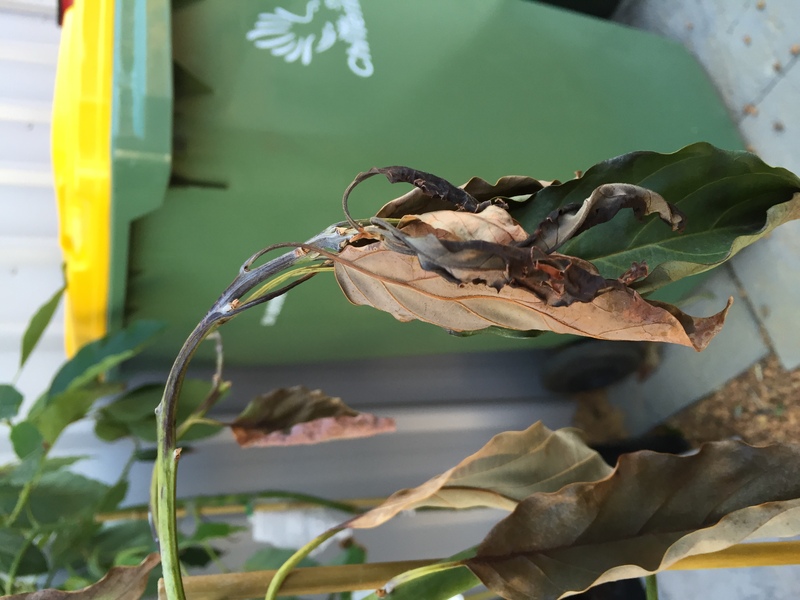 Try spraying your avo trees with: 30g (level tablespoon) of Copper Oxychloride mixed with 4� litres water, and with a 'good' wetting agent added. Also,cut off the dead bits. Spray once a week for 3 or 4 weeks or until it's gone, good luck! Hi Amanda19, yes that Yates product should work fine, please don't use 'straight copper' as in copper sulphate, as it will kill your trees. Don't forget to use a wetting agent like Spredmax or Chemwet, please don't use a soil wetter for the wetting agent. And spray once a week for 3 or 4 weeks, or more. 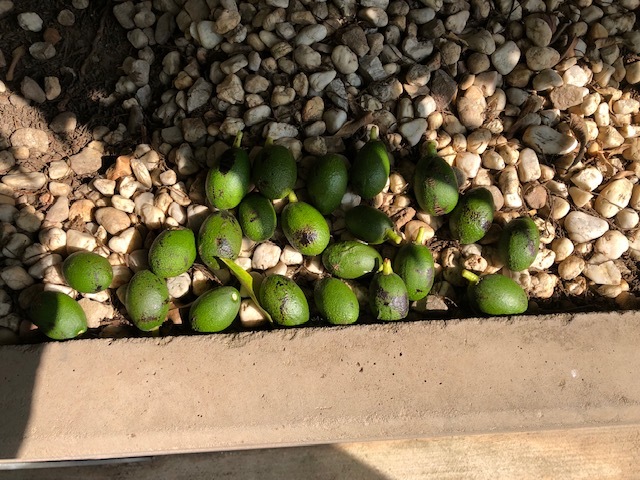 My ntree has lots of avocado but they are falling,while still relatively small,with black marks on them,would anyone know the cause.